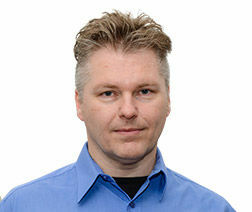 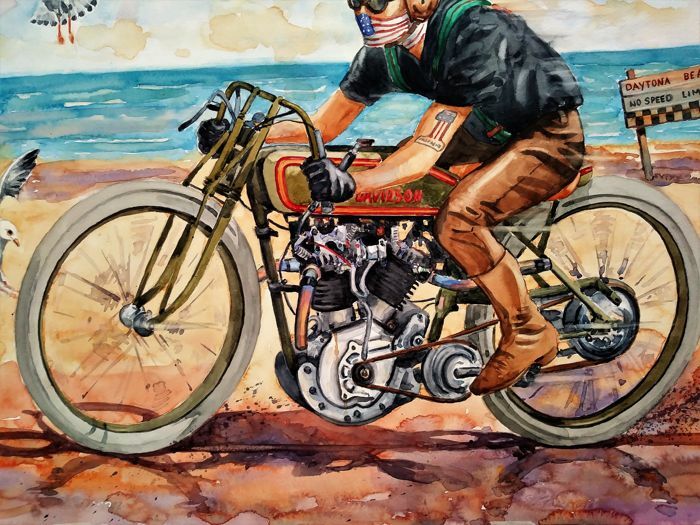 It will be sent perfectly packed, flat and unrolled. 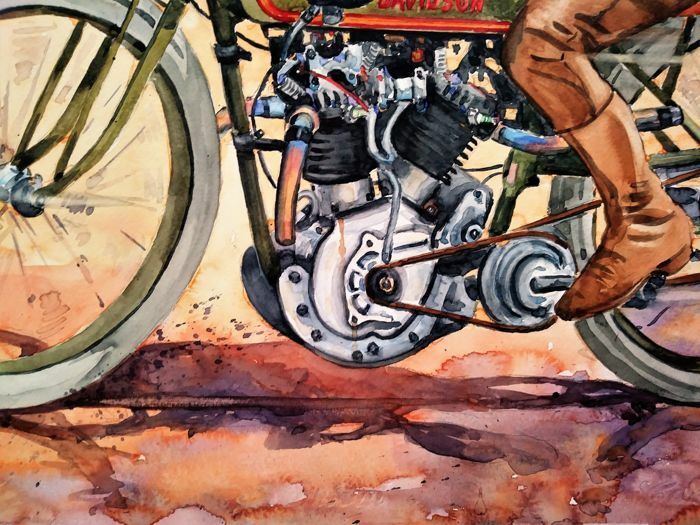 - Painted surface: 65 x 50. 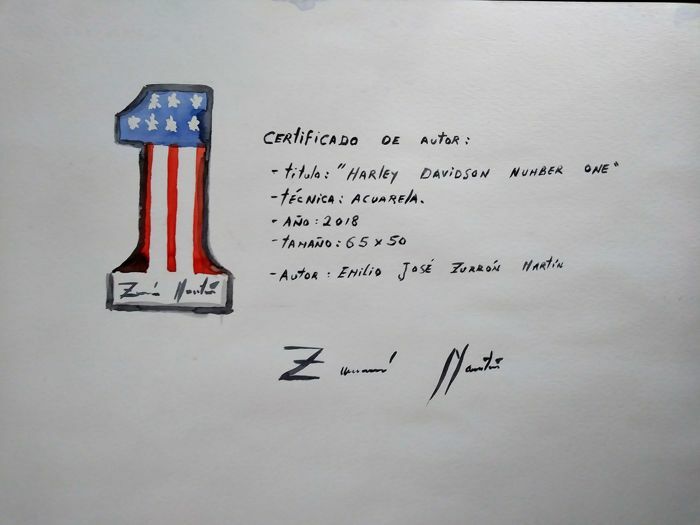 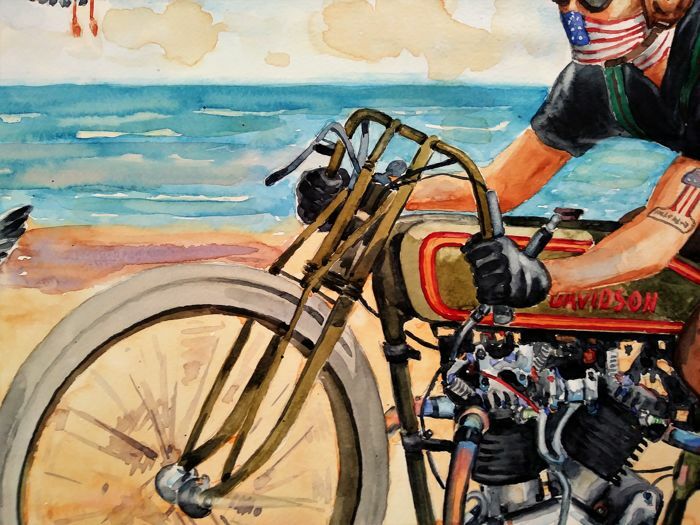 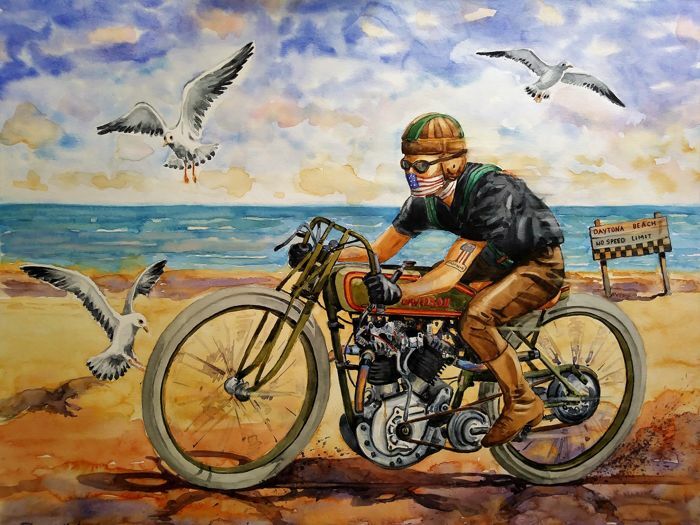 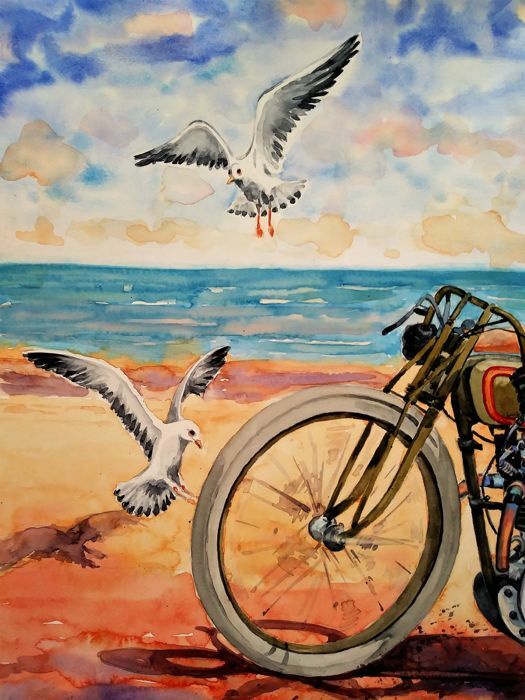 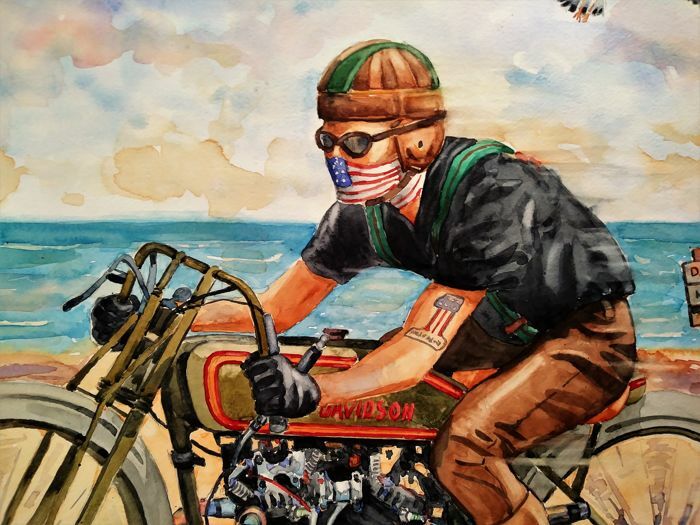 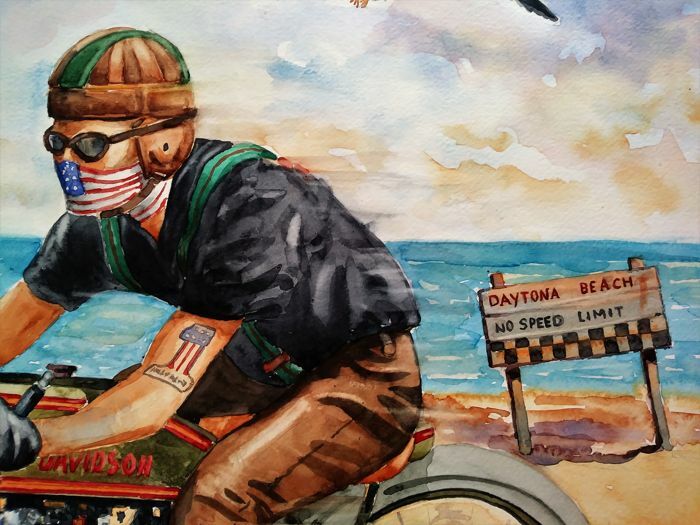 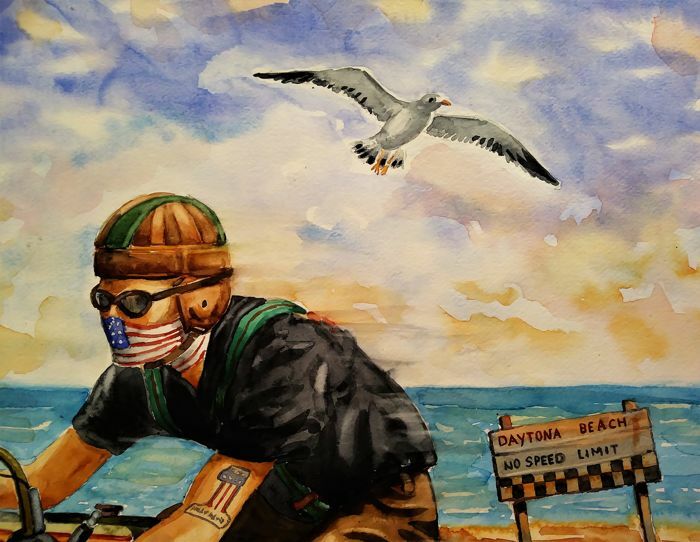 -Watercolour work that recreates with all sobriety the world of Vintage Races, where the famous Harley Davidson, faithfully represented, runs in the mythical beach of Daytona Certified by the author on the back. 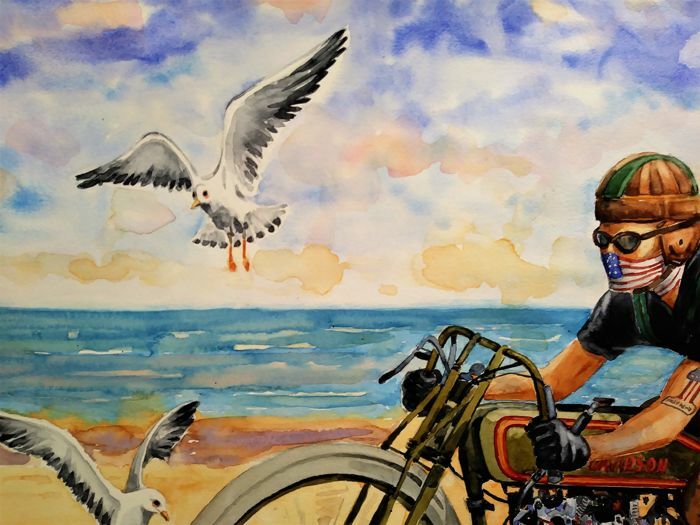 Born in Seville (1982) , son a painter, he focussed all his University studies in motor disciplines through his brushstrokes full of light, colour and enthusiasm. 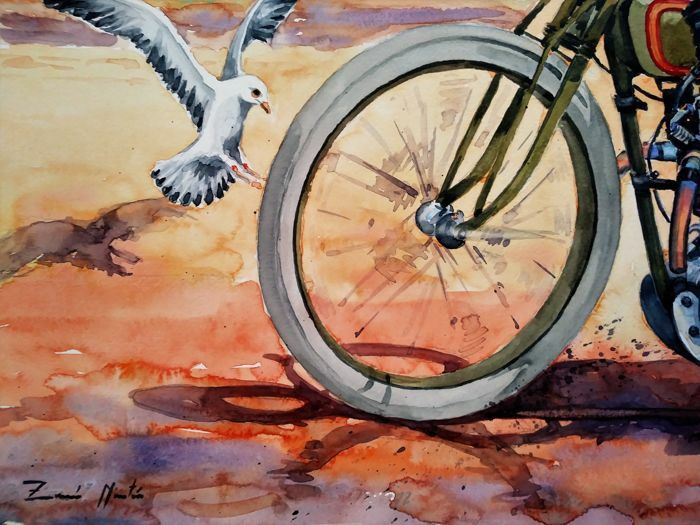 Valued throughout Europe for his artist´s watercolours, full of life, details and symbolism. 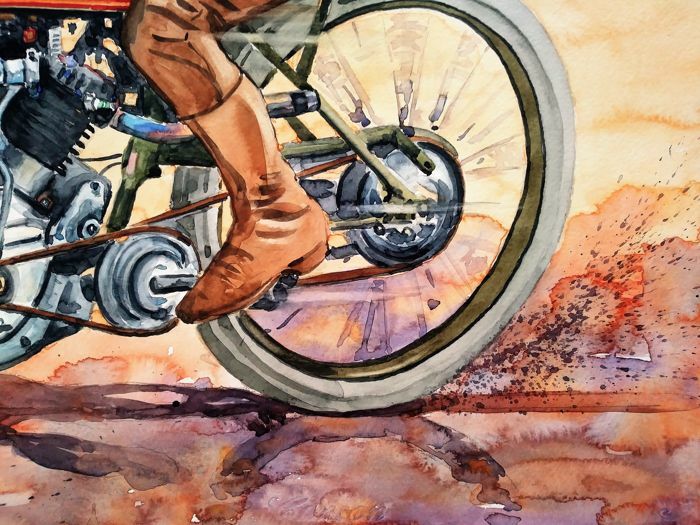 His art pieces manage to awaken the senses of the viewers, surrounding them with brilliantly made atmospheres. 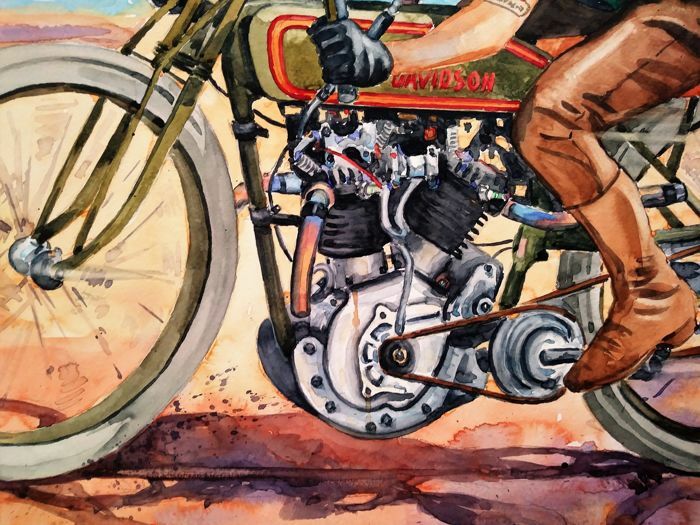 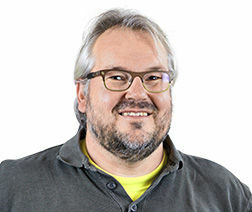 Shopping with Catawiki is a very pleasant experience and has been well thought out for both buyer and seller.I continue to browes Catawiki on a regular basis.